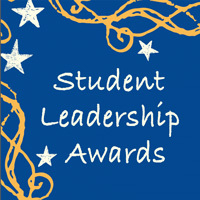 Student Leadership Award nominations are now being accepted now through March 1, unless noted with an earlier deadline. Please take a moment to nominate a deserving student or student organization for recognition of their accomplishments during the 2018-2019 academic year. All awards, criteria and nomination forms can be found at webster.edu/student-engagement/awards. All nominees and nominators will be invited to attend the 26th Annual Student Leadership Awards dinner on Friday, April 26, 2018. Last year's event recognized student groups and individual students for their leadership involvement at the Webster Groves campus, with approximately 170 students and guests in attendance. Please contact Katie Knetzer, director of the University Center, at mccombka@webster.edu with any questions. Click here for award descriptions and nomination forms.